Do you own a watch or do you rely on a phone to keep track of the time when you are out and about? I have several fashion watches that I wear every now and again and it's so refreshing to not have to search through my purse just to know the time. I'm not at a point in my life where I would invest in a very expensive watch but I think it would be nice to get a high end watch maybe sometime in the future. However, being the thrifty person that I am I would most likely go thrifting for one or buy a pre-owned watch. Today I have Amy Johnson sharing her views on Rolex watches and where you can buy one if you are currently in the market for a high end pre-owned watch. A Rolex watch signifies many things for the wearer – success, achievement and of course, impeccable taste and a liking for the finer things in life. In wearing a Rolex watch, you are telling the world that style and craftsmanship are important to you in your choice of timepiece. However great it may sound, purchasing a Rolex watch remains but a pipe dream for many given that the intricacies of a Rolex’s mechanisms and the fine-tuning of its engineering leads to a considerable purchase price. It’s this very price that is the stumbling block for many would-be owners of such a watch, but there is a solution to that very problem. What would you think if you were told that there is a way that you could own an authentic Rolex watch but at a fraction of the current purchase price? Well, you will be glad to hear that there is – you can purchase a pre-owned Rolex watch. A pre-owned Rolex gives you all the benefits of owning one of these sought after timepieces but without the significant initial outlay. With a pre-owned Rolex, you are getting all the style but with a much smaller price tag. 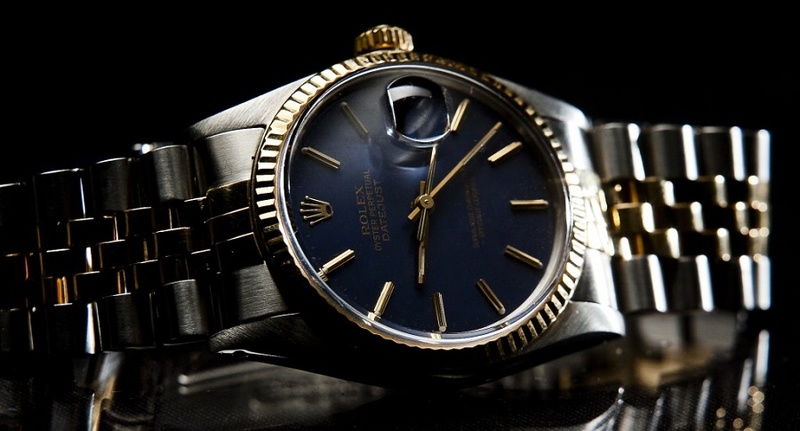 Many people are now opting to own a pre-owned Rolex as it makes perfect sense. As a result of the skill in manufacturing a Rolex watch and the prestige in which they are held, some Rolex watches increase in value with age. In this way, a pre-owned version can be considered a very good and sound investment. These timepieces can be passed on from generation to generation, enjoyed by many and not just the few. In addition, the design of many Rolex models varies very little from year to year and so your pre-owned Rolex will not appear out-dated or old-fashioned. It’s for this reason that a Rolex is considered a classic and timeless piece. Shopping for a pre-owned Rolex watch is not without its pitfalls and you should be aware that there are many unscrupulous dealers out there who will be more than willing to help you part with your hard-earned cash in exchange for a fake version of the real thing. There are some things you can look out for when looking at a pre-owned Rolex such as checking the serial number which will help you make sure that you have a 100% genuine Rolex in your hands. When making that purchase, stick to reputable jewellers that you can trust. To that end, you should check out the pre-owned Rolex watches from Xupes. With a pre-owned Rolex, you are purchasing a timepiece that will withstand the test of time and so you should take careful consideration before you make that purchase. Although a pre-owned Rolex can be considerably less expensive than a new Rolex watch, it is still a considerable purchase and so you should take your time when making that final purchase. Once your pre-owned Rolex is in your possession, it will give you years and years of satisfaction and pleasure and you can’t put a limit on that!